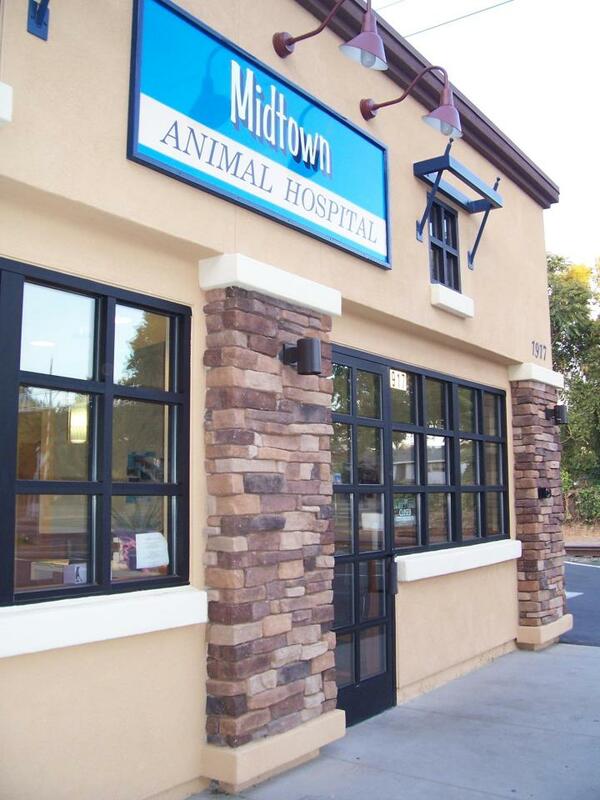 Located in Midtown Sacramento for 50 years, Midtown Animal Hospital is a full service companion animal hospital. We are committed to providing quality veterinary care throughout the life of your pet. Our veterinary services and facilities are designed to assist in regular preventive care for younger, healthy pets; early detection and treatment of disease in older pets; and complete medical and surgical care as necessary during their lifetime. Dr. Katie True and the staff at Midtown Animal Hospital are proud to have clients that include our neighbors here in Midtown, the DOCO in Sacramento as well as clients coming from North Oak Park, West Sacramento, Land Park and more. Our team understands how special your pet is to your family and we are honored to be trusted to care for your pet's health and we treat your pet with the care we would our own. Thanks for reading about our veterinary practice and the many services we offer. We are welcoming new clients at this time. Please call us at (916)446-7788 or email us here if you'd like to contact a staff member or veterinarian. Please click here to learn more about our online prescription refill requests, Spay and Neuter information and more!